Full Service Florist. Satisfaction Guaranteed. Family owned and operated since 1984. Wedding and event specialist. 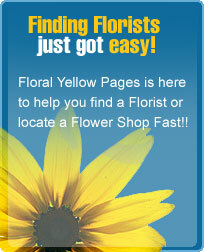 Flowers and plants for all occasions. Something for everyone's taste and budget. Serving all hospitals and funeral homes. Full Service Florist. Satisfaction Guaranteed. Family owned and operated. On time deliveries to all Palm Beach County. Open 7 Days a week to better serve our clients. Specializing in unique and custom arrangements. Serving all hospitals and funeral homes.